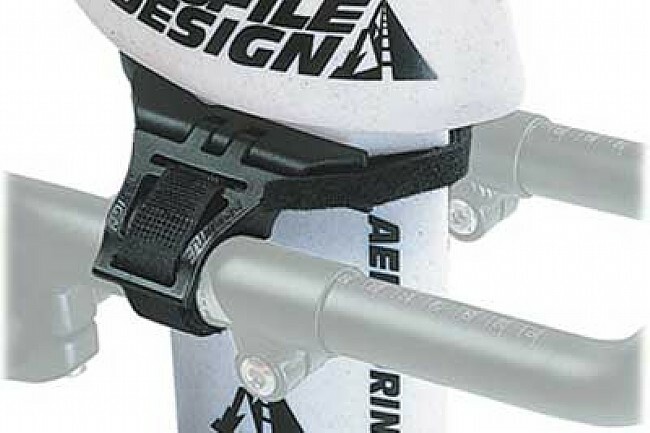 Bracket for Aerodrink bottle allowing access to fluids in the aero position. Adjusts to 140mm wide. 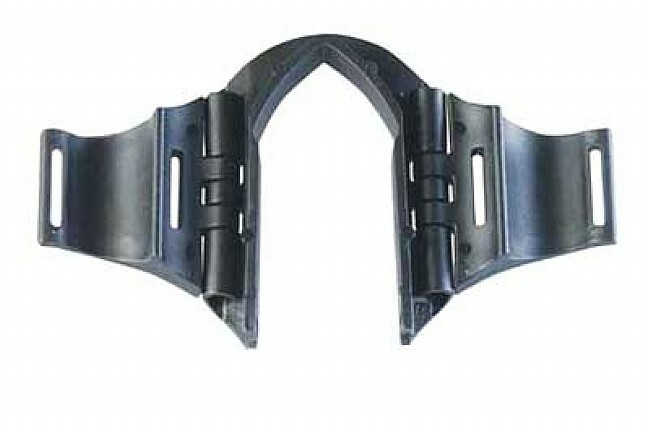 Attaches to bars with Velcro straps (included). Secure Velcro bottle mounting. 31g. Works great on my tri bars with my profile design bottle. Overall, I'm happy with this product. However, I think Profile Design has come out with a newer and more sleek design. But still, for a Triathlete Wanna-Be like myself....this is a pretty good and affordable way to stay hydrated and keep that low profile. I don't have a Tri Bike yet, but this still fits very well with my Road Bike/Clip-On Aero Bar combo!! Works great with 30 oz bottle. Mounted easliy to my bolt on aero bars. Love the bottle and bracket. Purchased the bracket to replace a broken one. Ease of use and reliable item. No issues. I bought this bracket along with the accompanying aero bottle. The bracket was fairly simple to assemble after I put aside the manufacturer's instructions. They were vague and the depictions were also difficult to follow. Overall though the bracket positioned between my aerobars holds the aero bottle well. No problems with this bracket. The instructions for installing were too small to read which made it a guessing game as far as how to use all the straps and attachments.